Author: Muller, Marcia Set In . . . 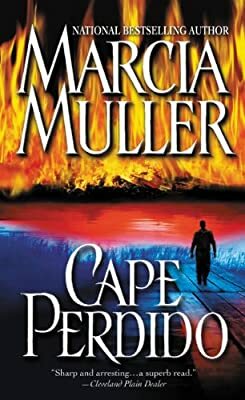 Description: Marcia Muller, bestselling author of the acclaimed series starring San Francisco P.I. Sharon McCone, returns to the remote northern California coast of Point Deception and Cyanide Wells with an exciting new novel. A riveting mystery full of atmosphere and suspense, this tale explores the dark heart of a small town where passion-and murder-runs as deep as the river that flows through it... Amid ancient redwoods and sun-dappled reeds, the Perdido River runs clear and cold from the mountains of Soledad County to the blue Pacific. A wildlife refuge and a pristine recreational area, the river brings tourists to the old lumber town of Cape Perdido...and flows through the memories and hearts of the rugged people who have settled there since the Gold Rush days. Now that is about to change. An out-of-state corporation wants to pump the river nearly dry and float the water to southern California's thirsty cities in huge rubber rafts. With lobbyists, lawyers, and dirty tricks, the company intends to get what it wants-any way it can. Against this corporate Goliath, a community protest group and four unusual individuals are drawing a line in the sand. Flying in from New York City, ecologist Jessie Domingo hopes to grab headlines for her cause. Environmentalist Joseph Openshaw has come back to the home, and the secrets, he left behind decades ago. His former lover, local restaurateur Steph Pace, fears both the emotions and the ghosts arriving to haunt her. And old man Timothy McNear, owner of the defunct mill that once employed most of the town, silently broods about the sins he has hidden for too long. But no one envisions what will happen when the crack of a sniper's bullet sets off a chain of desperate acts. As the peace of this small town is shattered, murder stains Cape Perdido, and one by one, those who stand tall for a cause may be swept away by the current of a town's ugly truths-and a killer's revenge.